First up we have a couple of ideas for beauty and skincare. 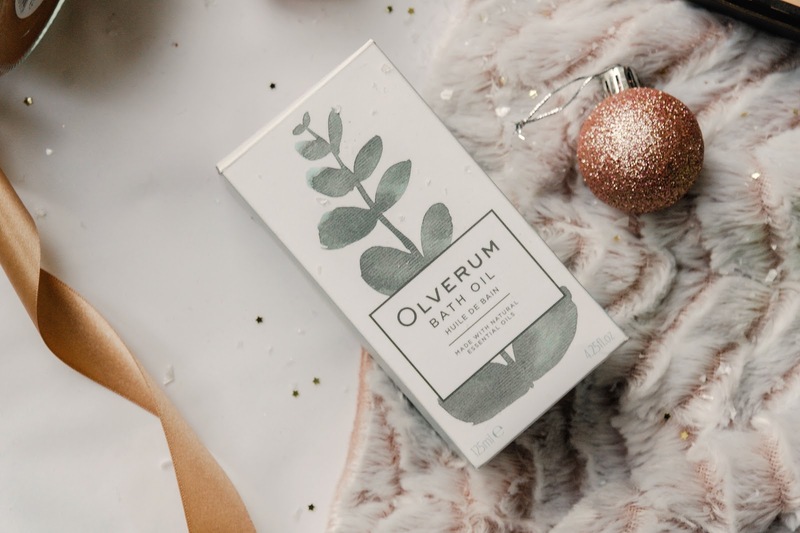 The Olverum Bath Oil is a unique and luxurious aromatic blend of essential oils. With just a few drops in your bath, these carefully chosen extracts combine to help ease stress and relax tension in both mind and body, bringing you back to your complete and natural self. This highly concentrated, therapeutic bath oil contains 10 pure essential oils, carefully blended to work together. It is a very effective way to naturally relieve stress and to help you achieve a good nights’ sleep. The story of Olverum is as rich and rare as the oil itself, involving a family secret carried for decades, and several lifetimes of passion and specialist knowledge. The formulation has remained largely unchanged for 87 years, so they know they stuff when it comes to bath oils. You can't really go wrong with a cute little tin that is full of treats. I really love this Joules Body Care Tin Set that includes a body wash, lotion, scrub and a butter. Something to help your body get the best care in one little tin and once you have used the products you will get to have a cute little keepsake tin for makeup or bits and bobs. Next up we have the The Hero Project® which is an exciting new British concept that mobilizes people power and great science, on a mission to rid your clutter in those beauty draws and replace them with great beauty products that you love. And so I want to share a new hand cream with you that would be such a good stocking filler for your Mum. Hand Rehab® Diamond Dusted Hand & Nail Therapy with SPF 20 helps you wave goodbye to dry hands with a dazzling sprinkle of diamond dust. This precious ingredient has been included to strengthen your hands and nails. Not forgetting to take care of your lips when battling the elements with this Christmas Star Lip Balm from Evolve Beauty. Add a delicious golden glow to your lips with Lip Shine, rich in Cacao butter, rose flower oil, vanilla and gold sparkles. Can also be used as a shimmery highlighter on cheeks and collarbones. Candles are the ideal gift for anyone on our lists this Christmas. Whether used as decor pieces or strictly for fragrance candles are always a great idea for gift for family and friends. You can keep to a budget and get some of the most gorgeous fragrances, or you can get some gorgeous luxury styles that range in price. My favourite candle by far are the Gingerbread Candle from Home Bargains, it's actually amazing. This candle is a great dupe for the Yankee Candle and the glass pot is also of a similar shape with the lid to match. They feel really luxurious in terms of weight and smell soooo good. 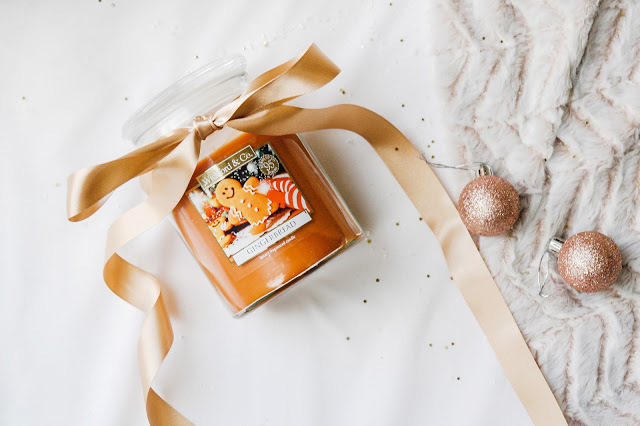 I will always recommend this candle to everyone and I thought that this year, giving these to a couple of our friends and family would make such great gifts. Is it even Christmas without socks? No, I didn't think so! However these are much more than just a pair of socks! 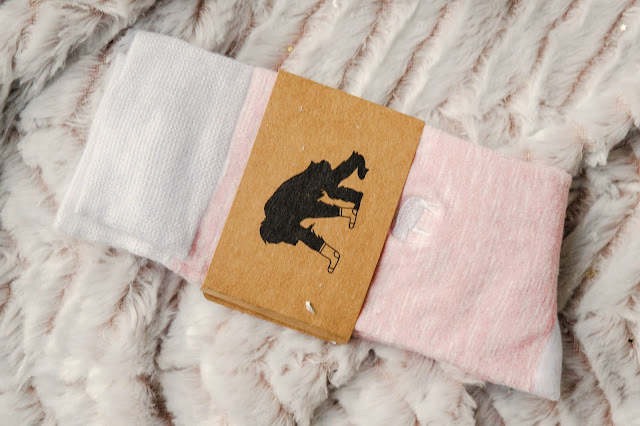 Critically Endangered Socks and their story begins in Borneo, home to the world’s oldest rainforest and a plethora of critically endangered species. A decade ago, the founder Dom Desmond visited the island’s northern jungles and spotted the critically endangered Borneo orangutans in the wild for the first time. Fast-forward ten years and the once lush rainforests have fallen victim to palm oil plantations and illegal logging. Dom thought up a company that would go where no company had gone before - using funds from sock sales to help this NGO protect the Borneo rainforest. The idea quickly grew into a company that would support five of the world’s most endangered species. And that’s how Critically Endangered Socks was born. Personally this is one gift that keeps on giving! Let's be honest, you can't go wrong with this one. 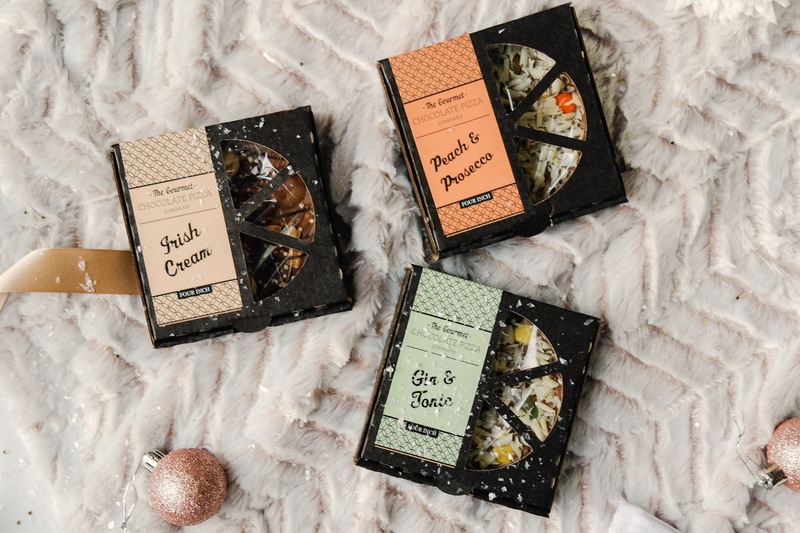 The Gourmet Chocolate Pizza Company have an abundance of options for Christmas, how perfect are these Cocktail Mini Pack? That offer a trio of alcohol-flavoured Chocolate Pizzas, including our festive favourite Irish Cream, Gin & Tonic and Peach & Prosecco. It offers the perfect way to sample new flavours, or serves as an ideal gift for Cocktail lovers everywhere. There you have it some last minute stocking filler ideas for her. I really do hope that my gift guide inspires you, even a little. Some of the items featured in my gift guide have been sent to me for review, but as always my words are my own. 8 comments on "Gift Guide: Last Minute Stocking Fillers for Her"
I'm intrigued by the cocktail pizzas. Not sure what they'd be like! Those home bargain candles are great arent they! I have one burning as i type haha! And i love the gourmet chocolate pizzas. the chocolate is so delicious! Thanks so much for linking up at #KCACOLS. Hope you come back again next time.